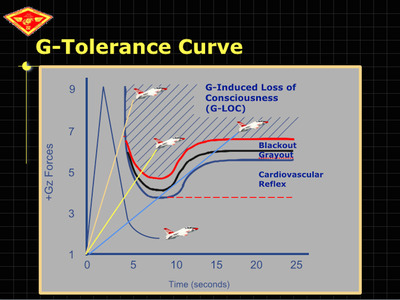 If you’ve ever been on a roller coaster, you know what a quick spike in G-force feels like. 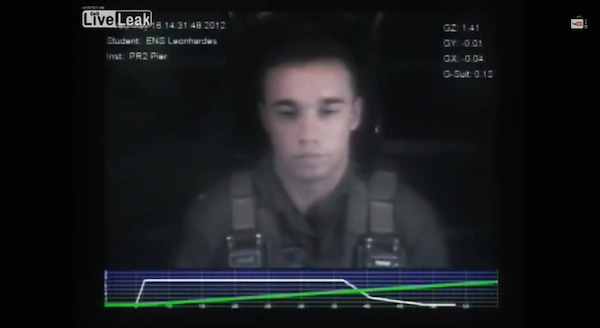 But the sensation of intense pressure is greater and longer in duration for someone strapped into the cockpit of a fighter jet, a vehicle which can “pull” up to nine times the force of gravity. YouTube is full of videos of what pilots call “g-monsters,” or individuals adept at handling the incredible pressure created by the centrifuge, which is meant to simulate a fighter jet’s G-force. The label is similar to being called a “stud” or “beast” in athletics, wrote Stewart. After his first run in the machine, this student answers questions about various types of vision loss he may have felt after experiencing 6.8 Gs, which is enough force to push blood away from the brain. In the last minute of the video, he completes 30 seconds under a staggering 8 Gs of force. Fighting the effects of a centrifuge is a full-body effort: everything from a pilot’s flexing of their leg muscles to their breathing methods are leveraged to build resistance and maintain vision and consciousness. 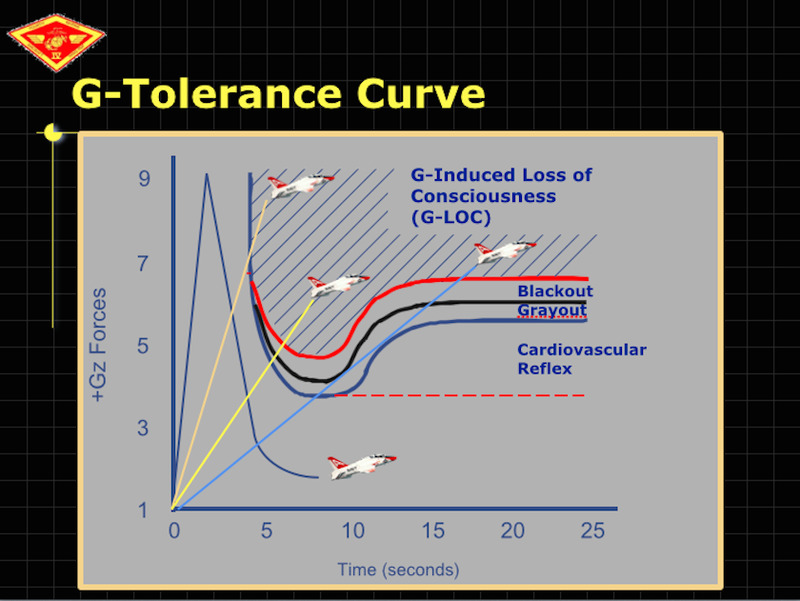 Fourth Marine Aircraft WingA chart by a US Marine Corps Reserve plots the long, high-force circumstances that can lead to loss of consciousness. That collection of techniques is known as the anti-G straining manoeuvre (AGSM). A training guide from the Federal Aviation Administration describes AGSM as “a physical technique where the aviator pushes air out of the lungs against a closed glottis” — that’s the audible hic sound the trainee in the video is instructed to make — “while simultaneously contracting the muscles in the calves, thighs, and shoulders.” This prevents flood from flowing away from the brain, which minimizes the risk to a pilot. Stewart told Business Insider that the pressure during centrifugal training can be worse than actually flying a jet. “The worst part about it is that when the G’s relax, the arm of the centrifuge slows and causes the fluid in your inner ears to slide forward, giving you the sensation that you are falling forward,” he said. Fortunately, pilots typically only go through centrifugal training a single time before moving on to the real thing. Once they make it through, it’s usually clear that the student has what it takes to fly some of the highest-performance aircraft on the planet.